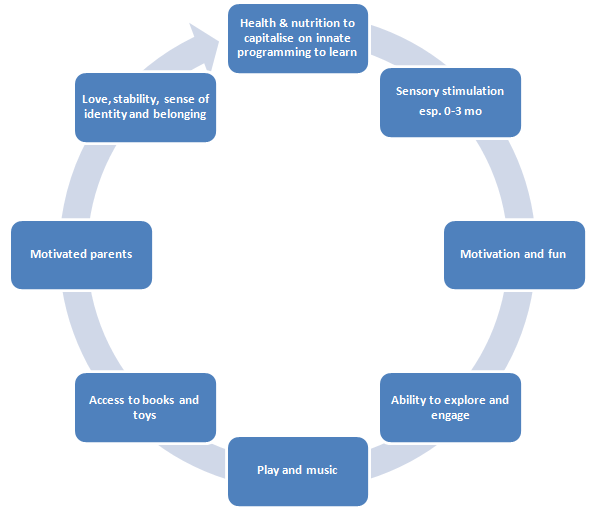 How do we spark learning ability in young children? Notes prepared by David Harrison and Marguerite van Niekerk. Earlier this year we hosted a brainstorming session to discuss alternative forms of sparking early learning capacity. The panel included a linguist, neurologist, educator, psychologist among others. It was a very interesting session and we thought we would share some of the most important points emerging from this conversation with you. 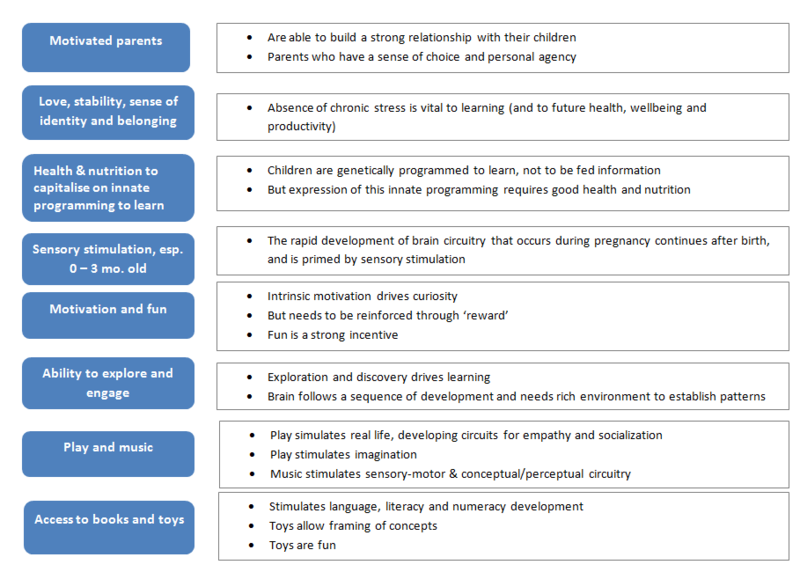 What stimulates learning in young children? 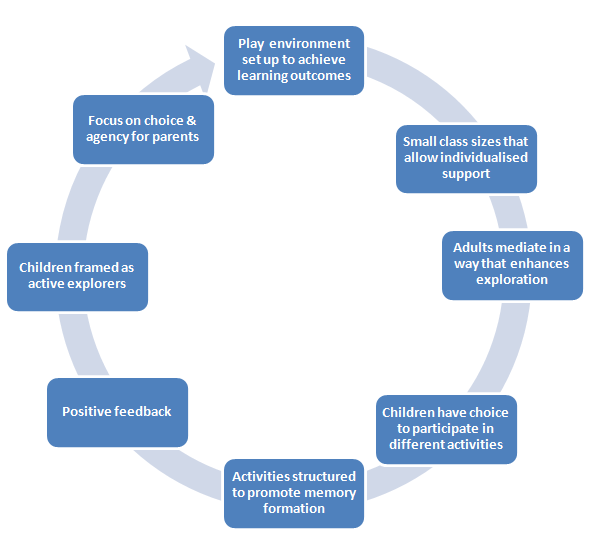 What are the elements of a good programme to stimulate learning in young children? Multiple intelligence versus general intelligence: There used to be a notion that the brain is geared for a narrow set of cognitive action measured in terms of IQ. Multiple intelligence recognizes that there are multiple points of interaction between the various cognitive functions, such as numeracy and literacy, music and art, emotional intelligence and social skills for example. Therefore learning processes need to stimulate all aspects of brain development, not only that which is conventionally measured as ‘general intelligence’ (IQ). Analogical thinking: All thinking is framed in terms of analogies. Play is an analogy for real life circumstances, and helps frame concepts for thinking. Language development: Language development is critical for framing concepts. Play is the foundation of learning. For a child – play is learning, which leads to growth. For most of our children, educational play and learning will happen at a ECD facility. This underscores the value of the caregiver, who needs motivation to PLAY and be motivated to learn. The need for life skills for caregivers to rediscover their life purpose will greatly enhance the quality of play and learning.